The ST style connector utilises a bayonet twist-lock connection. 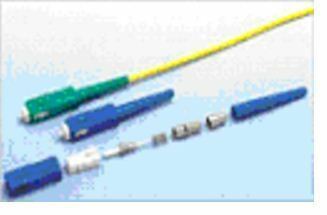 Available in single mode and multimode, the ST style connector is noted for reliable and durable field installation. Stellar Telecom has been conceived with a single mission of offering comprehensive and integrated material supplies to the Telecommunication and Networking segment. The Company aims at being the largest single integrated supplier globally for almost complete range of Cell site Installation material & accessories. All the items of site are supplied as per customer requirements. The Mission and Objective of Stellar is to help customer in optimizing their sourcing efforts by offering complete range of Telecom site products at best of the prices while ensuring a prompt delivery. Headquartered in Gurgaon, the upcoming township in south of Indian capital city of New Delhi, Stellar Telecom is a one stop shop for Towers, Telecom shelters, Shelters accessories, Electricals, Microwave and Optical accessories, Earthing accessories, Aviation light, Cabinets, Sensors etc. We believe in total customer satisfaction and fulfill all their requirements accordingly by improving our product quality.